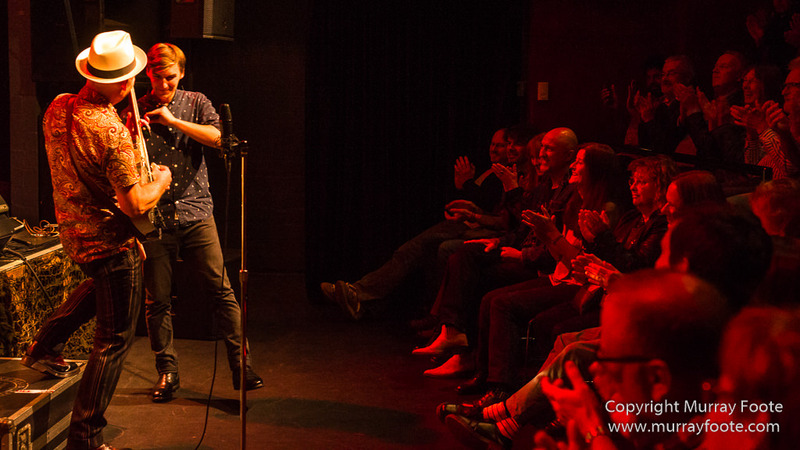 The Backsliders at Tuggeranong Arts Centre, Canberra, Friday 1 April 2015. 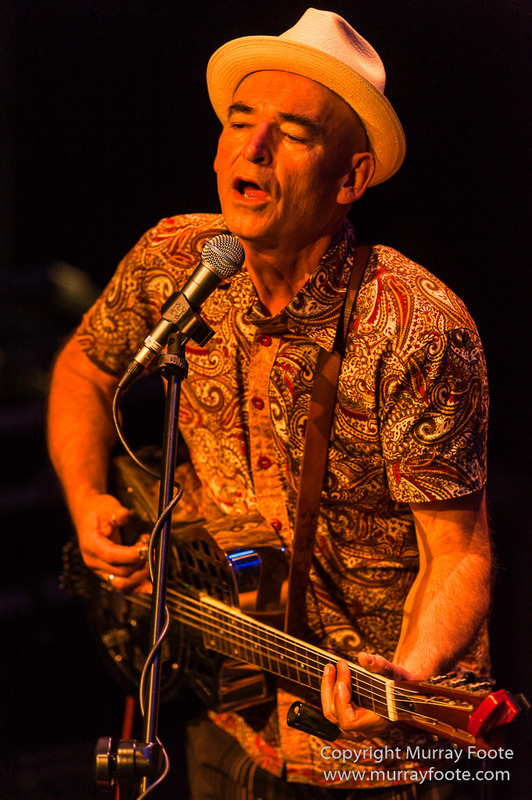 Last Friday night I photographed the iconic Australian Blues band The Backsliders at the Tuggeranong Arts Centre in Canberra. This concert was in association with an extensive exhibition of Midnight Oil memorabilia, photography and paraphernalia. Rob Hirst, drummer in the Backsliders, is a founding member of Midnight Oil. Paul Greene opened with a fine acoustic set. 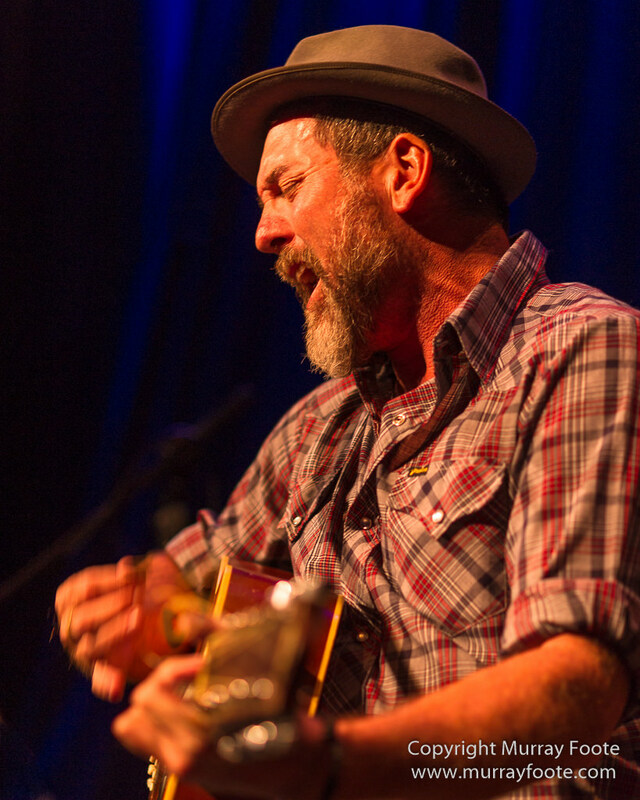 The Backsliders have been going for over thirty years and provide an often high-energy, sometimes laid back Delta Blues experience. 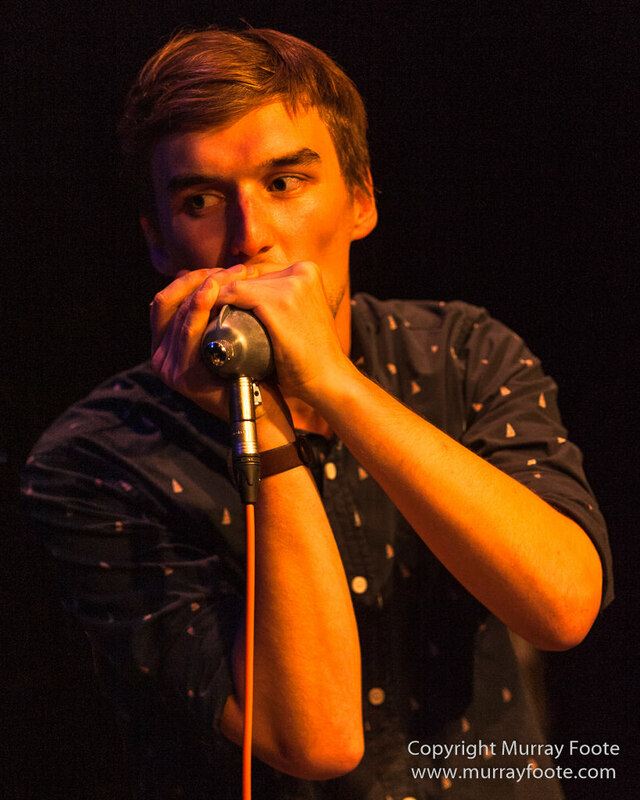 Guitarist Dom Turner is the only original member of the band. There have been a few harmonica players over the years, perhaps most notably Jim Conway, also Brod Smith and Ian Collard. You might be able to guess that Joe Glover was not playing with the band in 1986. He nonetheless provides a commanding performance. 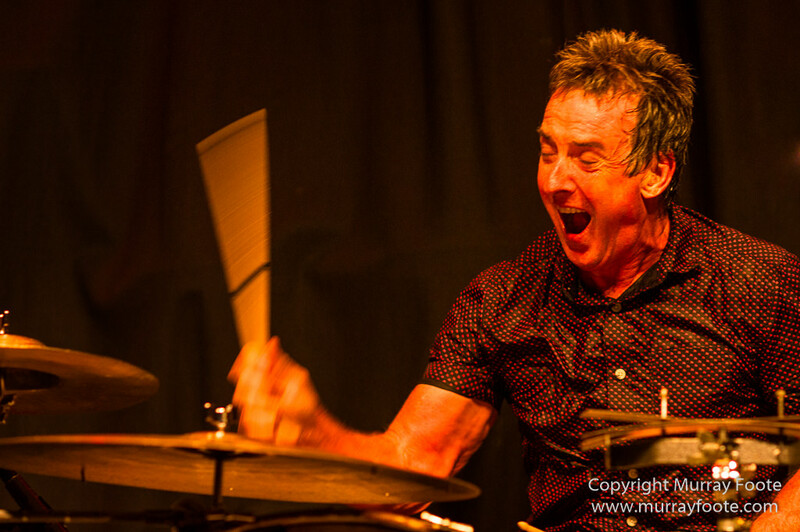 Rob Hirst, former Midnight Oil drummer, provides a driving force behind the band with amazing energy. This is right at the end of the performance. Only a few minutes to go now. 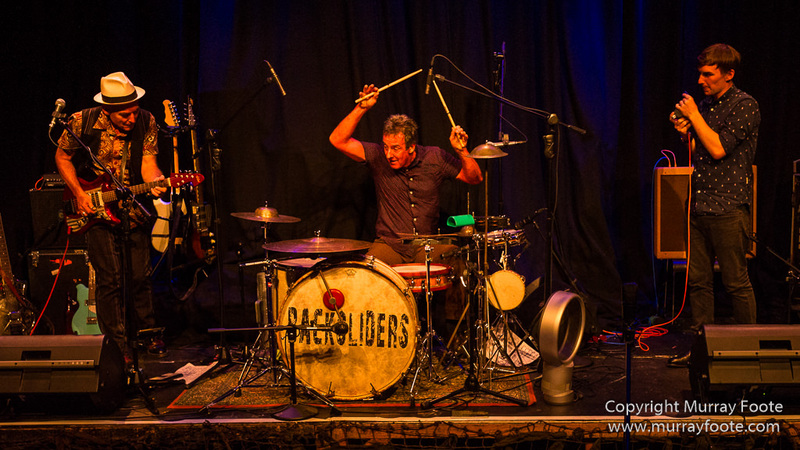 For more images (42 in all), click these links for Paul Greene and for The Backsliders. This entry was posted in Australia, Blues and tagged Australia, Backsliders, Blues, Canberra, Live Music, Photography, Travel. You’re good at this stuff. Nikon gear? Thank you. Yes. The six images above are D3s with 105mm f2 (2), 50mm f1.4, Sigma 35mm f1.4 and D3 with 300mm f2.8 (2).